LOVE the way you styled this, the kimono goes perfectly with the shoes! Great casual look with boho vibe! The feather necklace is so pretty! Thank you for hosting and hope you have a great rest of the week! I totally adore this! The cactus print is so fun! And it looks amazing with the little white dress with that lovely lace trim. And those sandals are perfection! I definitely need to add more kimonos to my wardrobe! Such a fabulous look. LOVE this look on you! One of my favorites yet. Casual, yet cute! This outfit is so cute! Looks like it would be perfect for the crazy hot summer we've had this year! I thought that was a short dress! Love that it's a romper – so cute with the kimono too! Such a pretty kimono! I love that print! What a darling kimono! I adore the colors! So crushing on your sandals! So cute! Such a great summer look! Love the kimono! Oh my gosh! This is sooo cute on you!! I love it! Love love love your lace up sandals! That pattern is just darling. I love this look, I love this kimono and you look gorg! Thank you for sharing this great end of Summer look! I need that kimono in my closet ASAP. 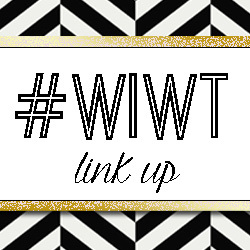 Thanks for sharing and for the promo code to Purple Door Boutique. Such a cute kimono! I'm loving the cactus trend. I am loving at kimono, I love ove love the causal yet boho look! super cute and perfect for summer. 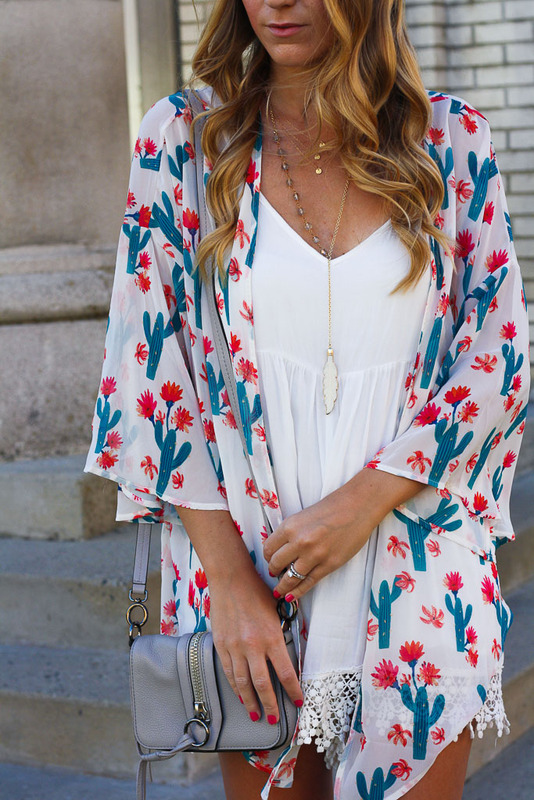 I love the cactus print kimono, so cute! I'm also obsessing over those tassel sandals. I hope you have a great weekend! I love this look! The details on the romper are so adorable, and it looks super light and airy…perfect for summer!